For many who come to Dallas from all across the state to visit the State Fair of Texas, a trip downtown to see the legendary Neiman Marcus department store is a must-see item on the itinerary. This was perhaps more the case years ago when the store was still owned by members of the Marcus family who were eager boosters of the annual event and placed several ads each year which graciously welcomed State Fair visitors to the city. 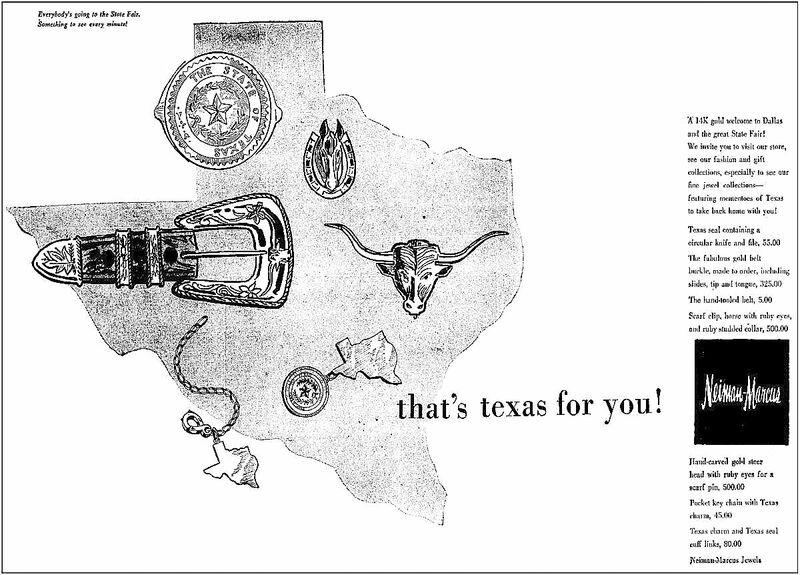 For many years Neiman’s offered “souvenirs” for the tourists, ranging from relatively inexpensive Texas-centric knick-knacks to very expensive Texas-centric knick-knacks. For the cheap monogrammed hats, giant sunglasses, and salt water taffy, you’d have to head to Fair Park. Another attraction at Neiman’s during the 1948 State Fair of Texas was an art exhibit: the first showing in Texas of original works by Pablo Picasso. The exclusive show was specifically scheduled to coincide with the State Fair and was prominently displayed on the 4th Floor of the store, in the Decorative Galleries. Twelve canvases — some never before seen in the United States — were “secured directly from Picasso’s studio at Antibes in Southern France,” via Samuel M. Kootz, Picasso’s rep in the U.S. 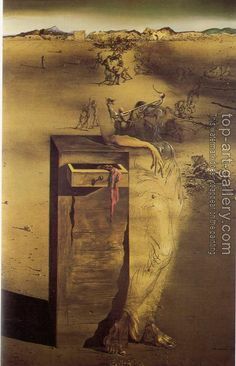 Think about that for a second: in 1948 Pablo Picasso was the world’s most famous living artist, and there was an exhibit of his recent works — some never before seen in the United States — in a department store. In Texas. That was, as they say, a pretty good “get” for the soon-to-be President of the company, Stanley Marcus. 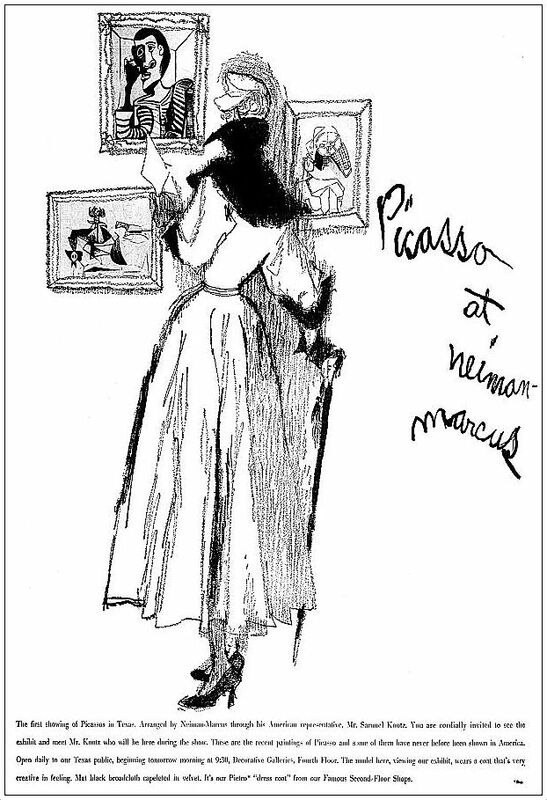 The Picasso exhibit was an early example of Neiman-Marcus’ dedication to bringing international arts and culture to Dallas — an idea which later manifested itself in the store’s Fortnight celebrations (which also ran to coincide with the State Fair in order to maximize publicity, foot traffic, and sales). “Cultural maturity” and planning — both were in evidence in Dallas in the fall of 1948. 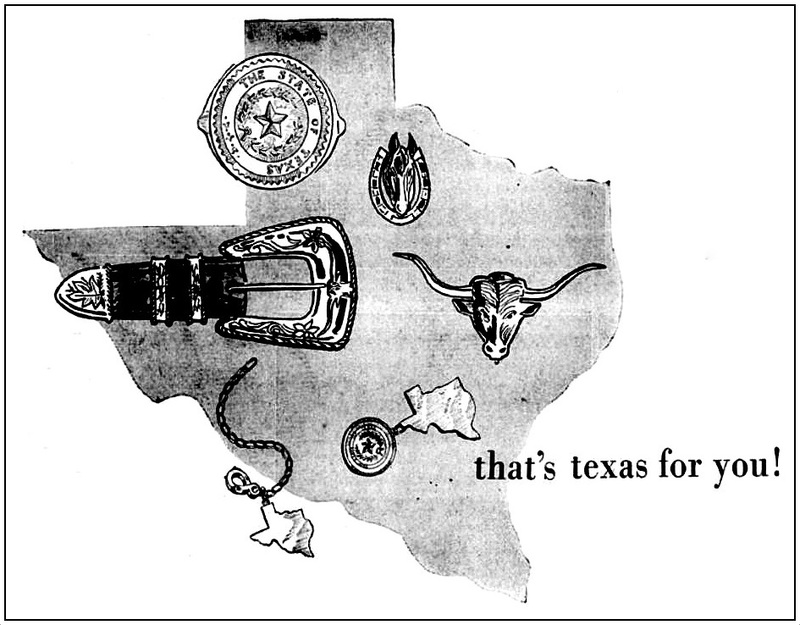 Thousands of Texans had their very first in-the-flesh glimpse of a Picasso canvas or a Dali painting in Dallas during the 1948 State Fair of Texas — either at a tony department store that sold $500 gold-and-ruby scarf pin “souvenirs,” or amongst the hot-dog-eating and roller-coaster-riding hoi polloi in Fair Park. That’s a pretty good reach for fine art. It’s not all about the automobile shows! thank you. this is great !! !